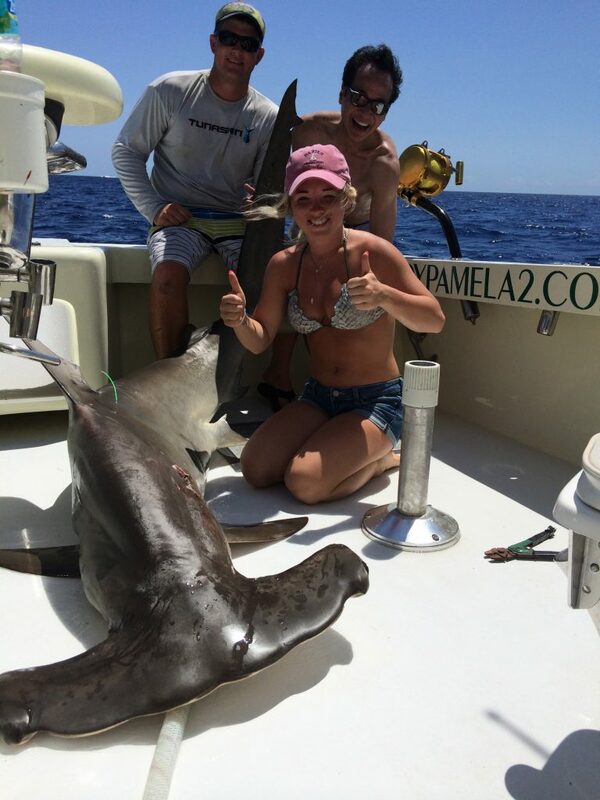 Shannon and her friend were out on the Lady Pamela II this week and the sharks were biting. 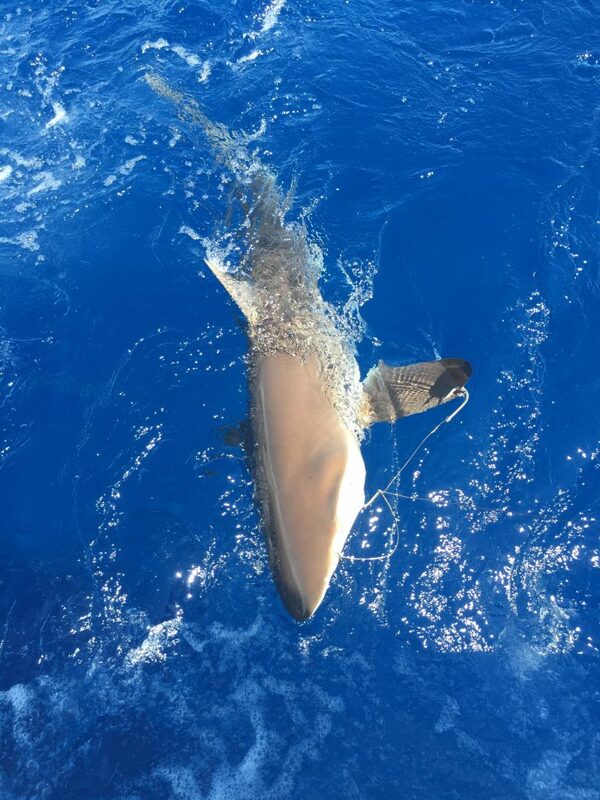 The pair of anglers caught a big dusky shark and we also got a big hammerhead that day. On the 19th we caught a 35 pound mahi-mahi and another hammerhead. We also hooked up, but lost a sailfish. The bonitos have been running solid on the reef off Ft. Lauderdale and we’ve been averaging at least six fish per trip. With the sun going down later in the afternoon we have started running a 2pm to 6pm trip, and both bonito and blackfin tunas have been anxious to bite during that time slot. Yesterday afternoon we caught eight blackfin tunas in a row. Nothing like fresh tuna sashimi for our fishing guests!